In ancient times it was reported and believed that crocodiles put on sad looks and sighed sorrowfully to lure their prey. Moments later they would devour the naïve innocent party and weep (with delight?) while munching on their victim. The tale was repeated by French and English explorers centuries later and the non-travelling public not surprisingly believed the stories. 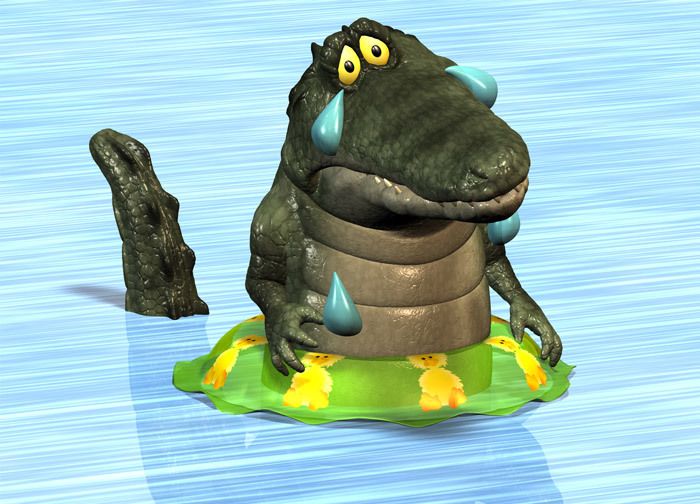 It is true that crocodiles shed tears, but there is no evidence that they feel emotion. By the 16th century the story had become idiomatic.